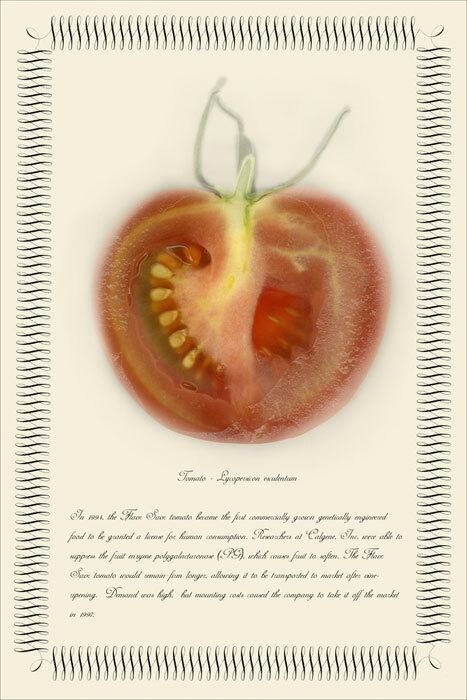 I have developed a series of works designed to motivate viewers to ask questions about food, health, and the environment. 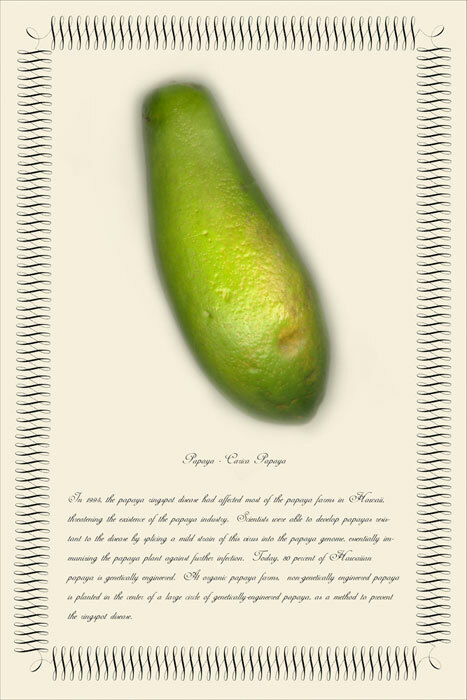 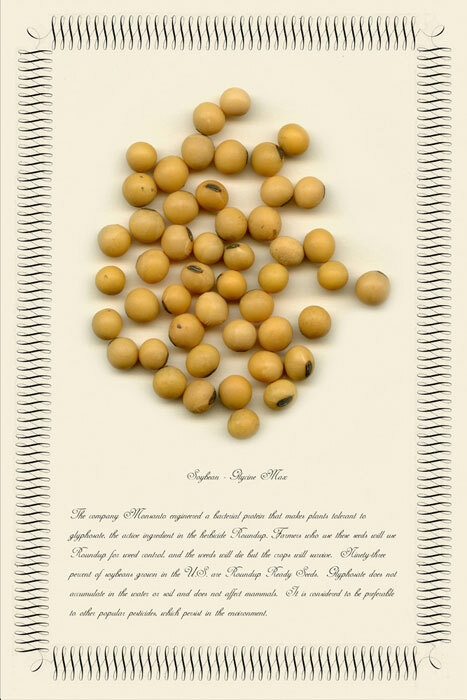 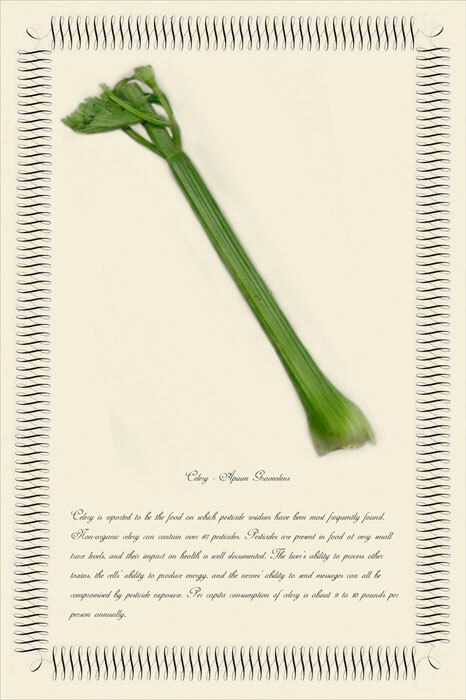 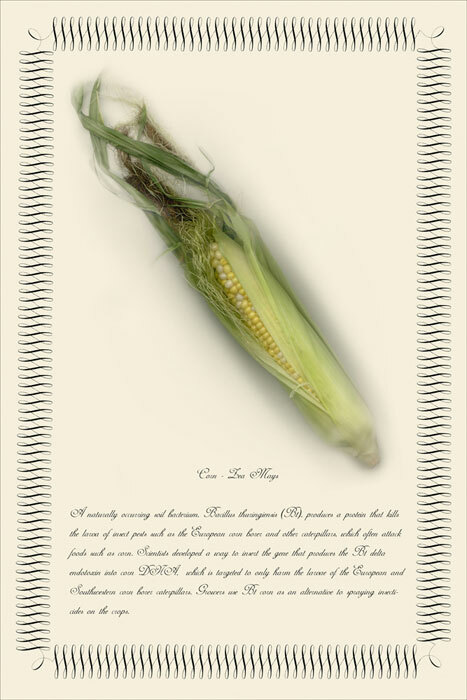 I created a series of archival digital prints that reference classical botanical drawings and feature a detailed photograph of food combined with a short narrative. 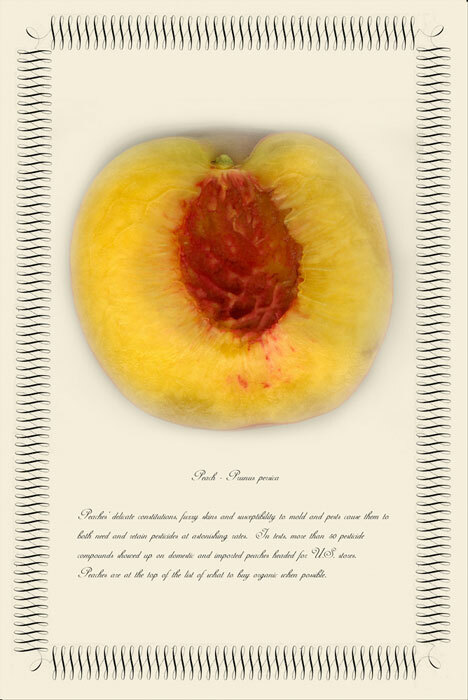 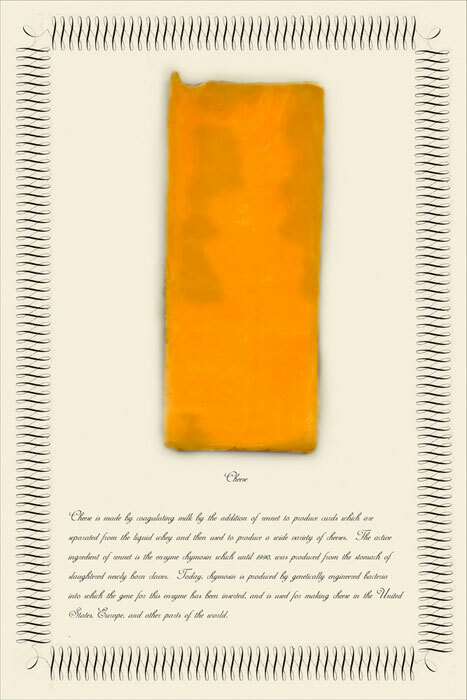 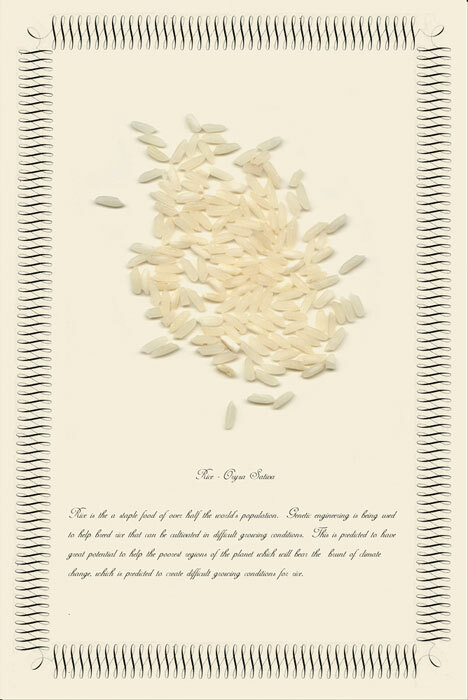 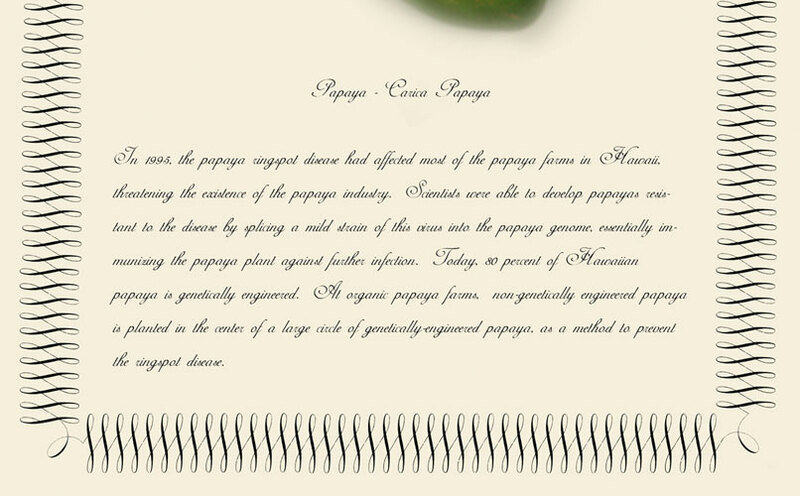 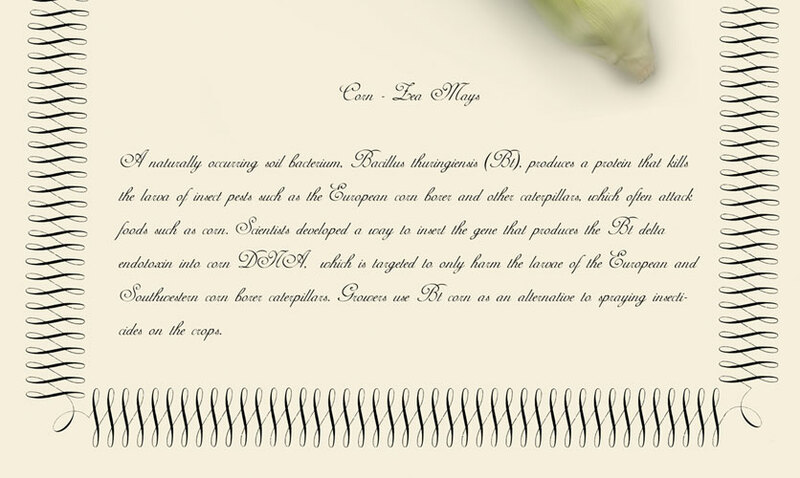 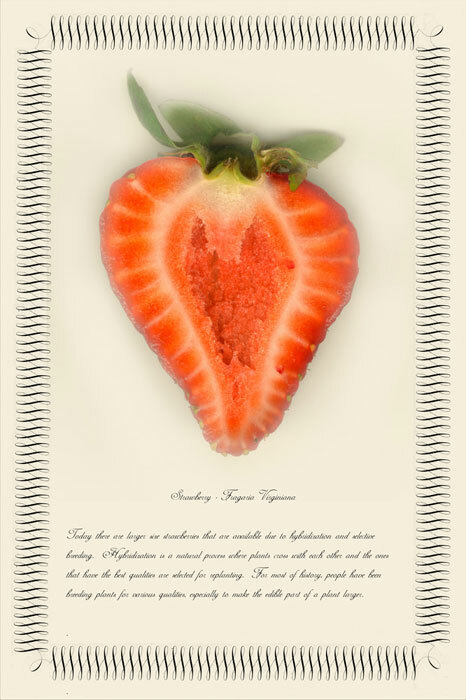 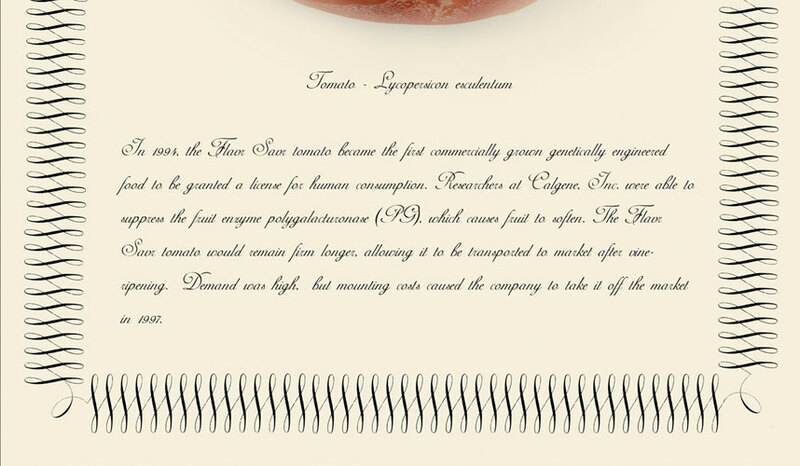 Each piece tells a story about the food within the text in the image.